Volvo PO11AVL was support pump for the CSU at an incident in Bolton, 24 February 2017. CSU MV54AYT was seen at an 8 pump ncident in Bolton, 24 February 2017. 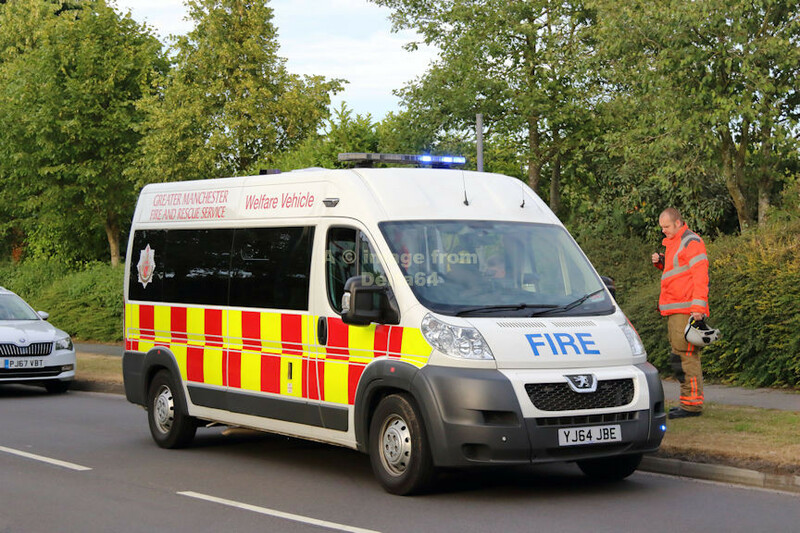 Peugeot Welfare Vehicle YJ64JBE was seen at an incident in Irlam, 23 June 2018.